We heated up the queso. We dumped the rotel in with the warm queso. We mixed in 1 cup of the queso/rotel with the chicken. Fill and roll the shells with chicken mixture. Is this dish good for you? Um, that would be a no. 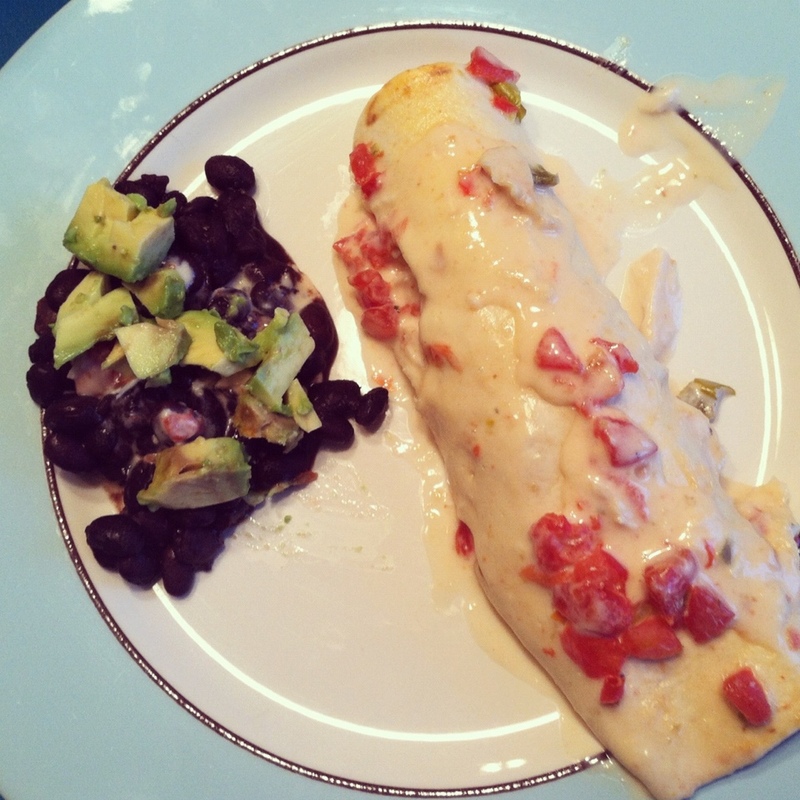 We made two enchiladas with refried beans for our vegetarian and EVERYONE loved dinner. And in our house, we call that a success. Casey. It'll be a year in May.